Now the final book in this extraordinary series is here. And it's an ending you'll never forget. A decade ago, psychologist Frieda Klein was sucked into the orbit of Dean Reeve -- a killer able to impersonate almost anyone, a man who can disappear without a trace, a psychopath obsessed with Frieda herself. In the years since, Frieda has worked with -- and sometimes against -- the London police in solving their most baffling cases. But now she's in hiding, driven to isolation by Reeve. When a series of murders announces his return, Frieda must emerge from the shadows to confront her nemesis. And it's a showdown she might not survive. This gripping cat-and-mouse thriller pits one of the most fascinating characters in contemporary fiction against an enemy like none other. Smart, sophisticated, and spellbinding, it's a novel to leave you breathless. 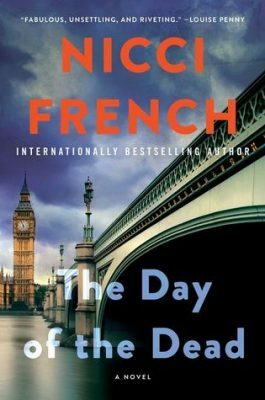 Welcome to my stop on the blog tour for Day of the Dead by the husband and wife authorial duo known as Nicci French. I’m delighted to be sharing my thoughts with you. Day of the Dead is the eighth and final book in the Freida Klein series. Though I’ve seen these books everywhere, I must confess that this is the first one I’ve read. Though it worked well as a stand-alone, I found myself hungry for more details about the beginning of Frieda’s journey with Dean Reeve. It’s a bit of a Catch-22: Do I go back to the beginning of the series even though I know how it will all play out? Or do I wait in anticipation of their next book or series? I think if I can work it in, I’ll read the first, Blue Monday, and then decide if I need read them all. I very much enjoyed Nicci French’s writing style. It was straightforward and easy to read while maintaining the perfect level of “smart”. The characters are well-developed and flawed in relatable and realistic ways. I liked that the authors didn’t feel the need to make everything and everyone fit neatly into boxes. When writing about murderers, police, and psychologists, I think it’s sometimes easy to default to stereotyping. I’m so glad this wasn’t the case here. My sympathies waxed and waned for certain characters. I found myself asking: Should I be feeling bad for this person? Does this justify that? Nothin’ like a little moral dilemma added to the mix! I found the ending to be quite satisfying and I think I’d have perhaps found it even more so if I’d read all of the books in the series as so many of French’s fans have. I’d definitely be interested in reading more Nicci French. Many thanks to William Morrow and TLC Book Tours for providing me with a free copy of this book in exchange for an honest review. I had no idea this was a husband and wife duo, Ann Marie! I loved your review, and I’ve always meant to try this series and never have. I think I should give it a shot too! Thanks, Jennifer. It’s so odd. I went the first 45 years of my life without reading any author duos (that I know of anyway) and I’ve read three or four in the past few months. 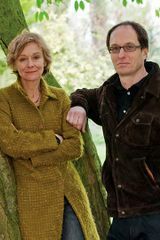 I liked them all so I suppose the old “two heads are better than one” saying goes for book writing as well. I read the first three, I think, and although in the end I got fed up waiting for the resolution of the Dean Reeve strand, each book has a story of its own, and the Dean stuff just runs in the background. So I think you could easily read and enjoy them even if you know the ending of that particular strand. I did enjoy the writing style and will probably read there next venture! I don’t normally gravitate toward series so it’s good to know they don’t necessarily need to be read in order. I agree that they have a great writing style. Thanks, FictionFan! I read the first book and never got a chance to get back to this series, though I really want to do so. Highly encourage you to read the first one as it develops the foundation for the characters rather well. Nice review, Ann Marie! Thanks! Yes, I think I definitely want to read the first one. I can see why this series has so many fans. I hope you get a chance to read the previous books since you enjoyed this one so much!